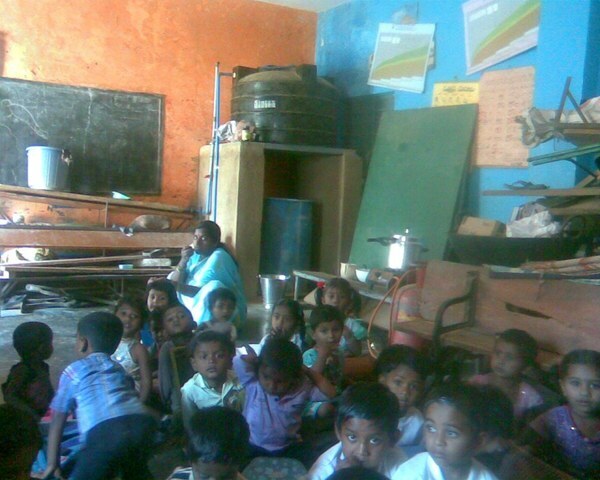 Areleri village has 800 HH with Anganwadi functional under tree was recently shifted to the school store room . 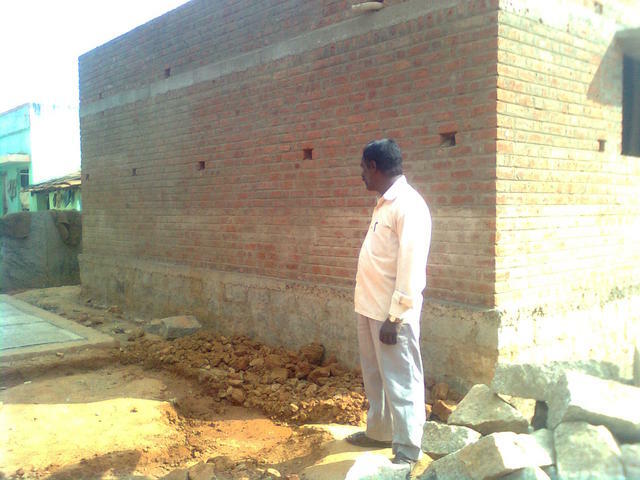 The Grampanchayat is building a new Anganwadi in school premises which has no toilet constructed . We wish to get the similar sanitation facility for all the anganwadi in this panchayat , probably when we are also expanding our projects to other panchayats of malur taluk. 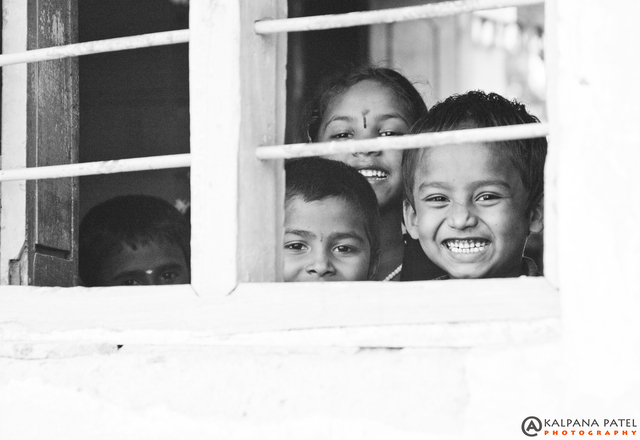 during our visit we often notice children have to use the school ground as toilet. 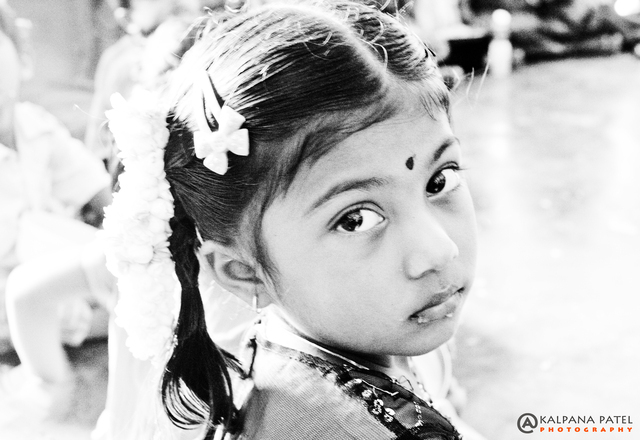 thou the school has toilet for older children , which is not allowed for these children , or not maintained well. 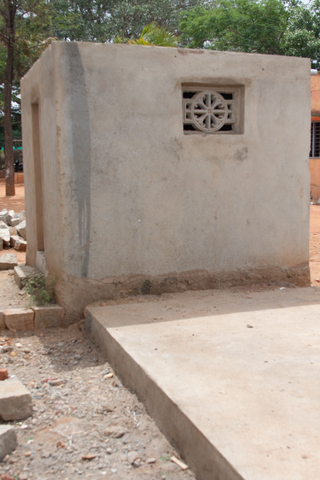 To make the children to get used to use the toilet when still their households don't have, is a challenge for teacher and helper.we are sure to over come by our previous experience, as the toilets built in earlier centers have been regularly used by children and maintained by helpers. New anganwadi and wall painting, children continued to use toilet, which needs renovation. The Anganwadi has been shifted to new building build BY DWCD in the s same primises. 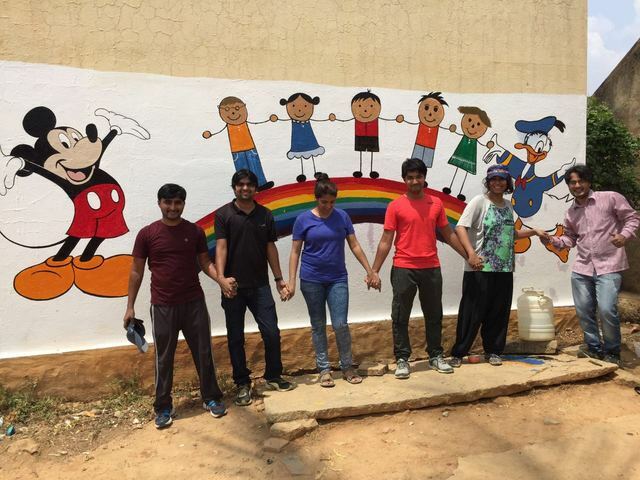 The wall painting was done by IBM staff team . 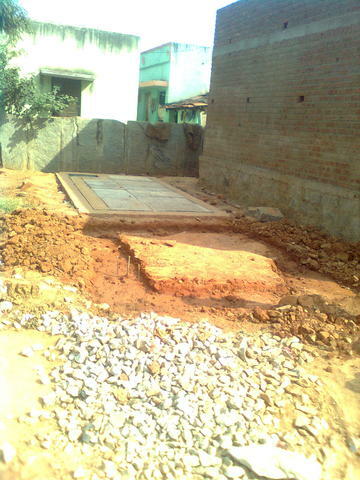 the toilet constructed by AA foundation through peer waters was damaged during bringing down the water tank next to it. 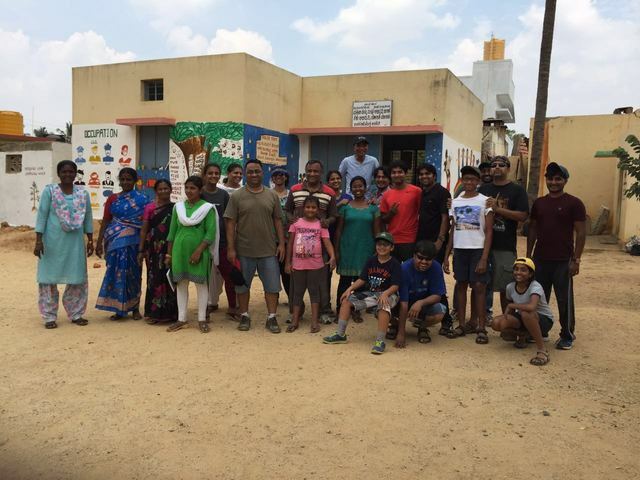 I visited Areleri village with AA Foundation and got this unique opportunity to see the completed water and sanitation project in the angadwadi. We visited 4 villages of Malur Taluk and i was glad to have a conversation with the villagers and their issues revolving water and sanitation issues, their everyday life routine and other related issues. I am thankful for AA Foundation for taking this initiative of providing the basics to these kids of these villages and PWX for providing the necessary funding and guidance for successfully completing these projects. 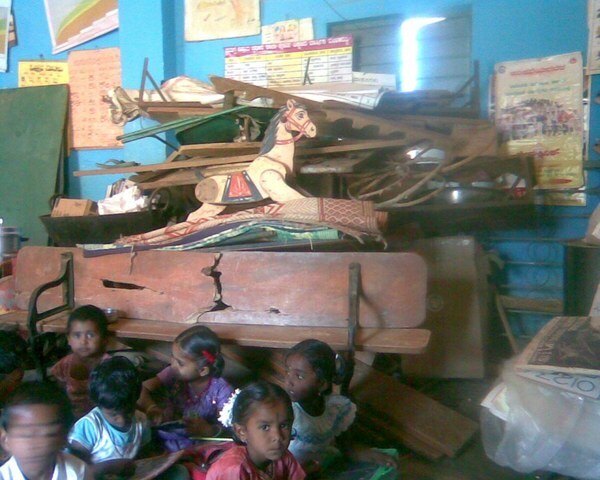 Temporarily the angadwadi was set up in a local school storage room as the angadwadi facility was under construction. The construction was almost finished. 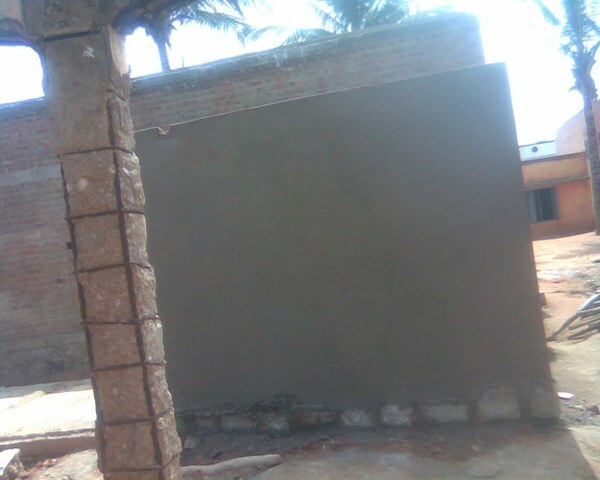 The toilets were almost complete and the water tank here was a built-in in the ground unlike the other 3 villages of Malur Taluk. The under ground concrete tank was huge and seemed very promising. 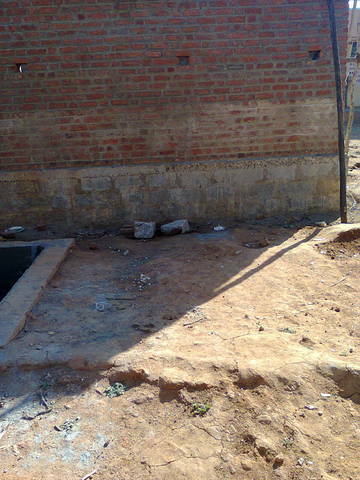 The construction of the bathrooms were complete but not being used at time of visit. The bathrooms will start being used when the new building for the preschool is completed, which appeared to be almost finished. 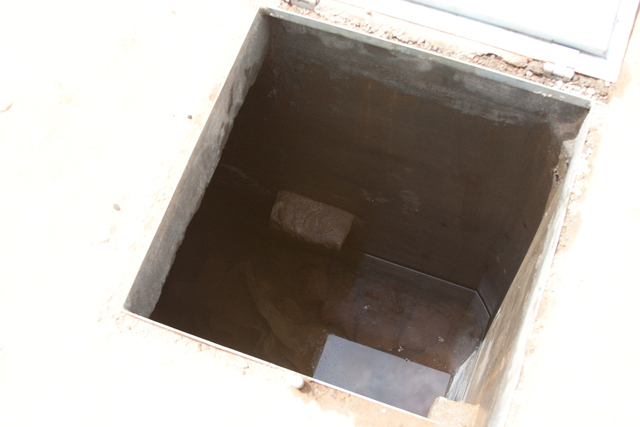 Large underground concrete rain harvesting tank is in place so no above ground rain barrels will be present. The work has been completed in areleri on Sunday, Nandini and myself had Review meeting in Bangalore on health camp followup cases, usage of toilets in Anganwadi, teaching, and other project related works.The final payments were made, reminded about pending bills. The construction of the toilet has been completed today.On Friday project visit will be made by myself and conditions will be updated. The plastering the wall outside and inside the toilet has been completed , tiles fixing is also been done, today the toilets seats will be installed . 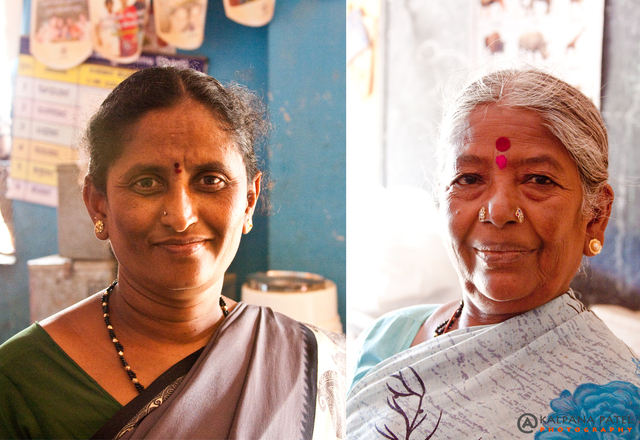 Myself and community member,mason, anganwadi teacher and krishnamurthy had a meetings regarding clarifying the payments, few issues were sough-ted out by discussion , and krishnamurthy made pending payments, he has an opportunity to join for government job,the posting is process hence he will be resigning from Aa foundation. ii phase amount was payed to mason about 15,000 rupees. The work will resume from 14th, as the bangalore office had to have review with old staff kirshnamurthy and mason, so three days of work was not completed. 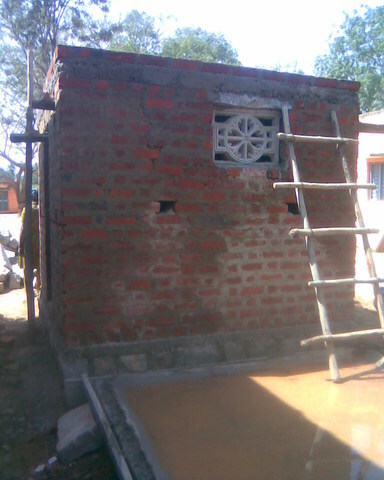 The roofing of the toilet has been completed, the structure will be left for four to five days for curing, our programme associate from bangalore will be visiting the project on 9th saturday for a review with mason,staff nandini and anganwadi teacher of binigpura who has a issue to discuss. The photos will be update next week. The walls of the toilet has been raised, and support to make the roof structure has been constructed.the roofing will be done on 7th morning. The foundation has been completed on Saturday evening.Sunday there was no work in progress as the foundation was left for curing. Our Staff Krishnamurti is looking for a better job in kolar,and resigned from Our foundation.Our wishes to him. 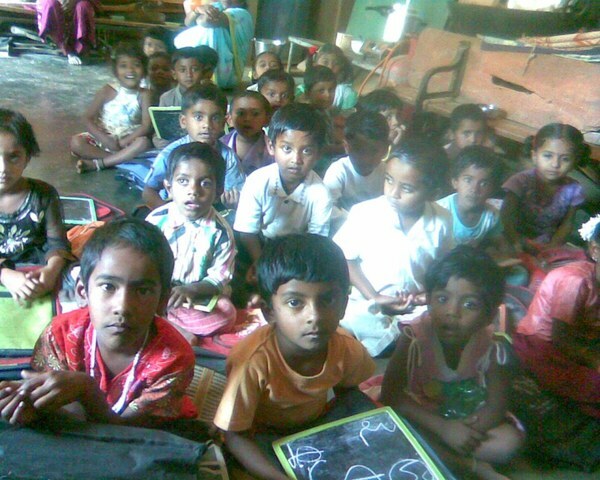 The daily report will be done by Ms Nandini our field educationist to HO, Bangalore. The agreement will be signed with mason on 31st and advance of Rupees 10,000 has been released. 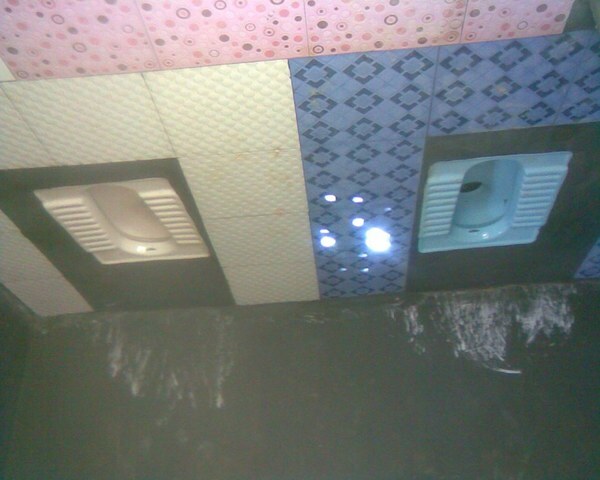 This time the toilet will have molded roof as it is in a big play ground premises , the youths and children will be playing cricket , volleyball and other games as there is chances of breakage of sheet roof. 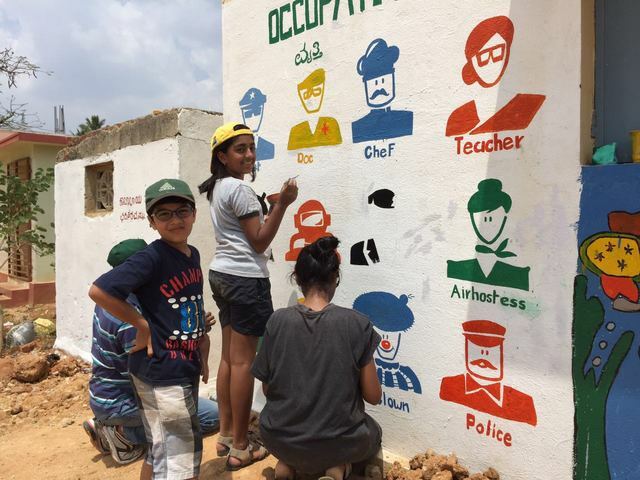 This is built in government institution premises to upgrade the community based programme like anganawadi, parents, community and department,personal teachers and helpers have welcomes this with other components like childfreindly wall paintings to make anganawadi as child friendly place. 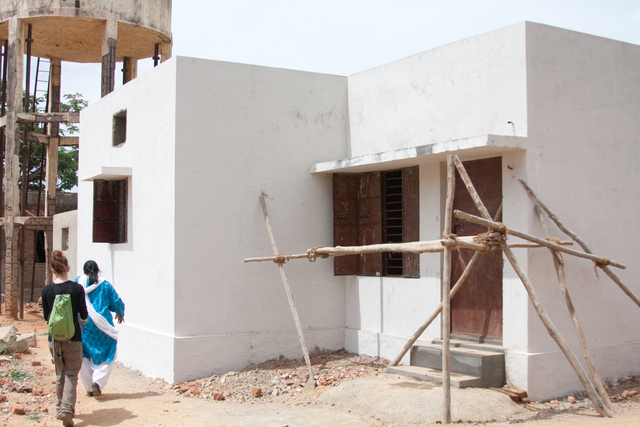 Initially we had to convince, now other villages in the same panchayat wants to have similar structures. Apart from above organisation has constant followup every week and day by field personals to train teachers on quality education , and sanitation is one component in that. Recently organisation participated in conducting survey through panchayat under Nirmal Grameen yojana which says out of 120HH 60HH had toilets in their houses, rest use open field. This is a panchayat office area , we can see greater number of HH having toilets, rest of villages have three toilets for 130HH. 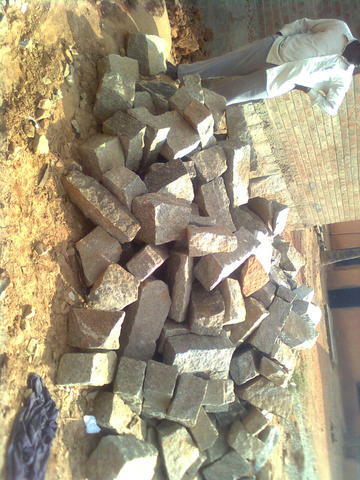 We had community based mason , who was associated with to three projects , so he had better under standing on the quality and time ,budget, so we had less hardship to get the project completed.thou our experinced staff left the job. 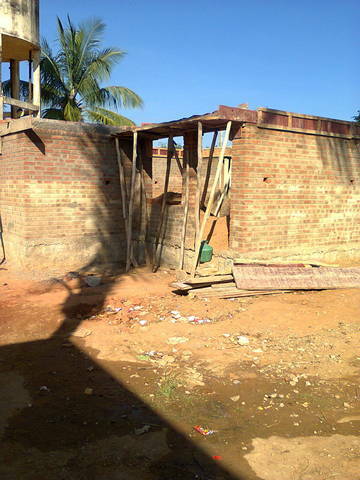 This structure has molded roof, as suggested by the community,hence it is in premises of school big playground, the roof made by sheet will have breakages, so the budget also was little more than other projects for toilet. 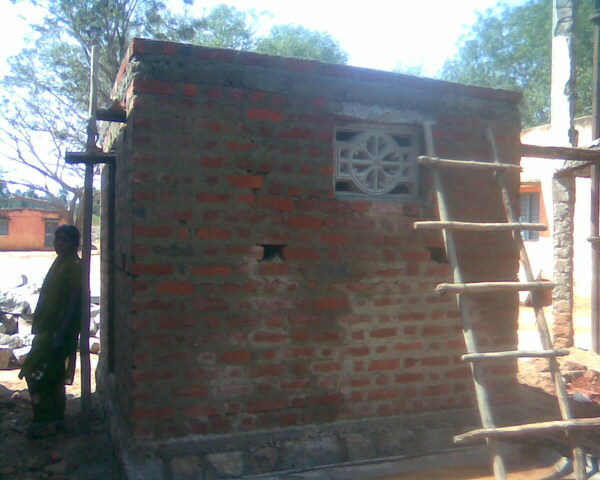 The toilet width is 9/7ft, with two sitting Indian style commodes and water facility by the panchayat. Still the colour,size of the sink fitted is not satisfactory. During project there was no such problem, but we often see when ever school and angawadi holidays the premises is misused by local few peoples, so we wish the new building of angawadi and toilets are not harmed. so after consent and letter correspondence only we started the project.but we have to organize and insists every meeting and also communicate between them, other wise our works get delayed.EX:( we received permission to build toilet from DWCD, later panchayat have already started the work under MLA quota, we have to communicate the information and take supervisor to the field in chikkaupparalli village). you have to play more roles! we insisted local mason and specially laborers from same village, so less Resistance from them and completed happily when we motivated them that they are building for their children,some laborers were parents of the children, so we had no hassels. 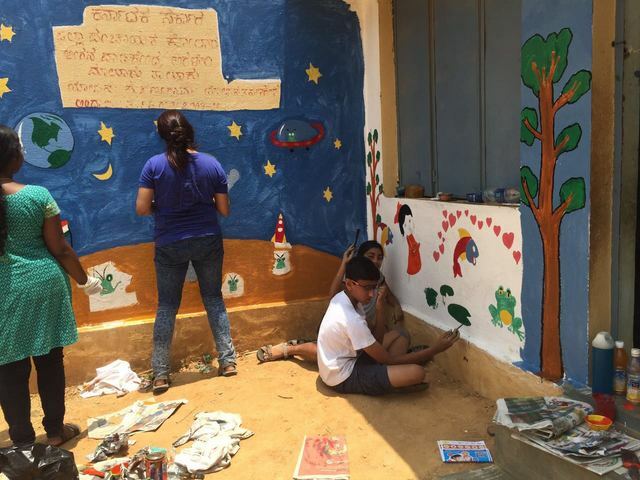 The components like childfriendly wall painting , planting trees and garbage cleaning village activity draws community and children attention and make them to participate. Now the villages community is insisting to bring the painting group, we are waiting for new anganwadi structure to complete. 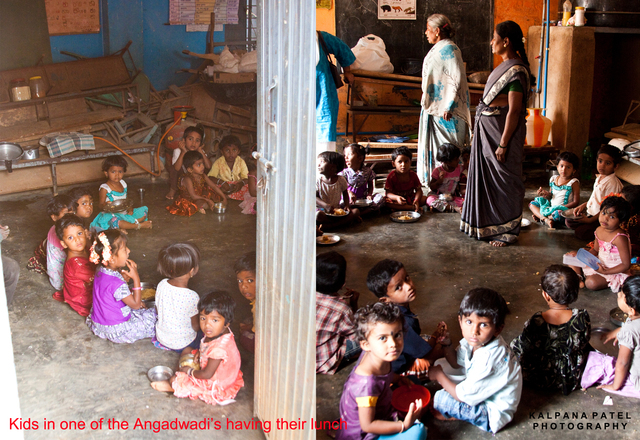 There are 60 enrolled to the anganawadi center functioning in school store room at Areleri, teacher and helper. weekly three days the center can see full attendance of the children, rest of the days varies from 30-40 children in the center due to crowded and small space the children often fall sick.